Qantas Rewards: 7 homewares you can get for free using Qantas points. You know those people who pay for things on their specialty credit cards so they can earn Qantas Points? Those people who always catch an Uber from the airport so they can get bonus points to go towards their next flight? Those people who will do absolutely anything they can to get extra points? In the past year, I’ve become one of those people. And I’m not ashamed to say it. I signed up for a credit card to get Qantas Points. I started buying clothes online through Qantas Shopping, and now I spend time looking at ways I can earn more points. However, when it comes to spending those hard-earned points I thought the only option you had was to use them to fly. I was wrong – it turns out you can actually buy things with your points. In other words, get things for free. 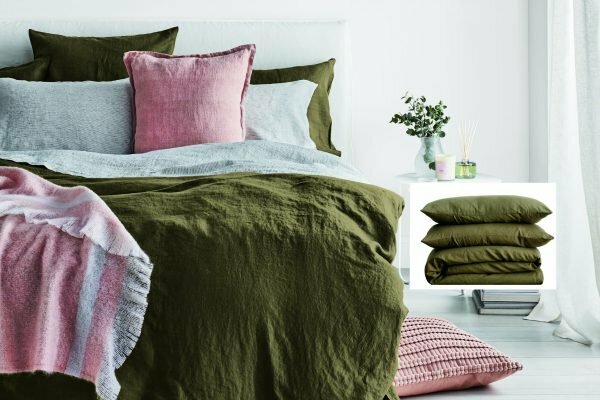 From cosy bed sheets and cushions to the best heaters and vacuum cleaners, the Qantas Shopping Rewards Store is your happy place if you’re looking to refresh your home heading into winter. All the leading brand names are there – Breville , Dyson, Tefal, Bose, Sheridan, Apple, Samsung, Fisher & Paykel – you name it, they have it. As a starting point, you need to be Qantas Frequent Flyer member and have a minimum of 2000 Qantas Points. If you’re not a member yet, you can join for free here. Once you’ve cleared that bar, you can get homewares, appliances and tech items at discounts – up to 45 percent off the original price in some cases. And you can use points or Points Plus Pay. 1. Olive Linen Duvet Cover from CULTIVER. Available for 59,430 Qantas Points. CULTIVER&apos;s Queen Linen Duvet Cover Set in Olive. Image: Supplied. People who know things say a change is as good as a holiday - and there’s nothing quite like changing up your bed linen to mark a new season and refresh the vibe of your bedroom. Swapping your duvet cover to a deeper tone like olive during winter can help make your room feel cosier and update it instantly. But it’s not just the colour. There’s a reason linen is so popular when it comes to the bedroom (and no, it’s not just because it’s been featured a lot in your Instagram feed) - the natural fibres soften each time you use it - and the fabric is a natural insulator. According to CULTIVER, the maker of this duvet set, “linen is very comfortable in warm climates: it is naturally highly absorbent, meaning it can absorb a high percentage of its own weight in water without feeling wet. It is also highly breathable given its woven nature and will be temperature to sleep in, for both hot and cool sleepers”. 2. 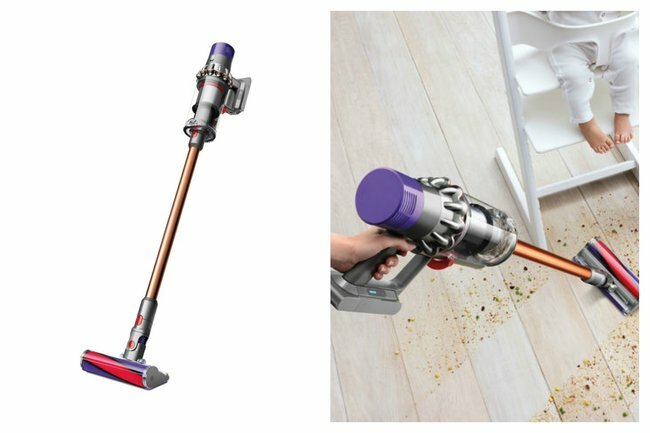 Dyson Cyclone V10 Absolute+ Cordless Vacuum. Available for 131,750 Qantas Points. With 20 percent off. The cordless Dyson. Image: Supplied. Twenty years ago, a vacuum cleaner was just a vacuum cleaner. It was heavy, loud, had a bag you had to change after every use and it made cleaning really painful. But now? There’s a huge difference. These days nothing says vacuum cleaner like a Dyson does - it’s bagless, easy to use and dare I say it... fun. 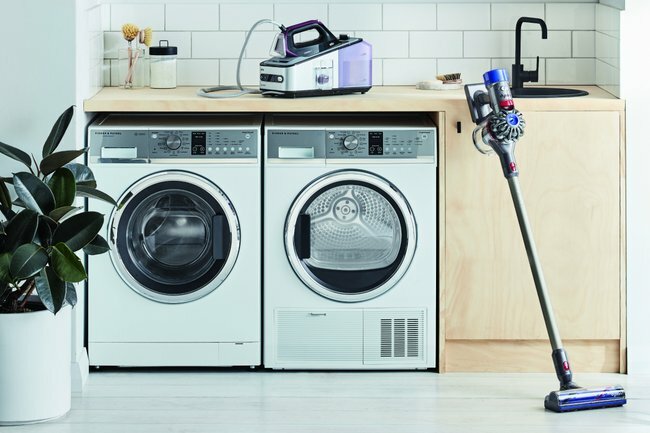 This stick vacuum is guaranteed to make your life easier - it’s compact, cordless and can be used on all floor types. And has fade-free suction for 60 minutes so you can vacuum until your heart&apos;s content. Which I do, often. 3. Apple TV 4K. Available for 43,930 Qantas Points and get 5000 points back. Apple TV 4K. Image: Supplied. Need to watch Game Of Thrones this winter? Or just want to stay in over the cooler months? Apple TV is what you need. 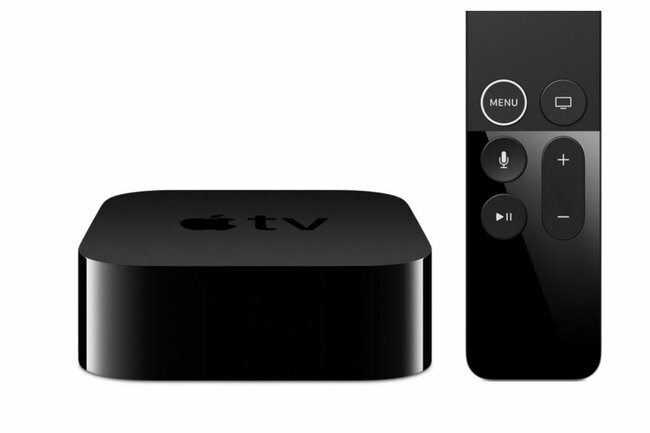 The Apple TV allows you to choose precisely what you want to watch, including shows and movies, and its compact design will fit flawlessly into your home without being obtrusively obvious. 4. Evoke Accent 4 Slice Toaster from Morphy Richards. Available for 18,600 Qantas Points with 30 percent off. Evoke Accent 4 Slice Toaster from Morphy Richards. Image: Supplied. When you’re renting your home, updating your house is a bit tricky. You can’t change anything structurally, which is why choosing appliances that look a little fancy is a great idea. 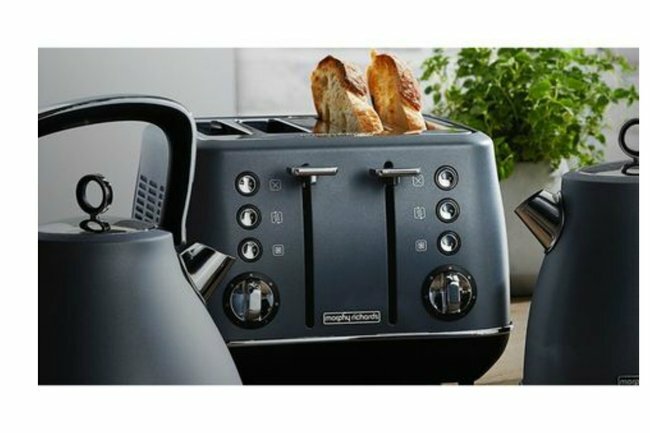 The Morphy Richards toaster comes in four shades - white, blue, red or black - and has a chrome finish. Plus, it’s guaranteed to produce toast (or crumpets) to your liking every time. And for the full effect, it can be matched with either the Evoke traditional pyramid or jug kettle. 5. 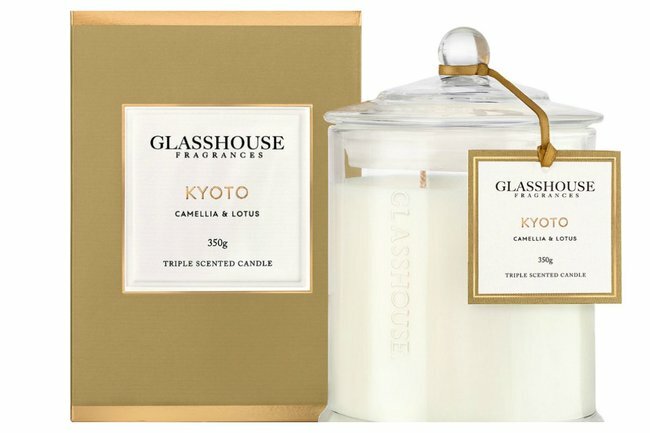 Glasshouse Kyoto Candle, 350g. Available for 7970 Qantas Points with 25 percent off. Glasshouse Kyoto Candle. Image: Supplied. JK Rowling once wrote, “Happiness can be found in the darkest of times if one only remembers to turn on the light”. A quote that became synonymous with fighting baddies in Harry Potter - but something I think of when I buy myself a new candle every three months. Sure, this small candle may not seem like much - but it can transform your house into a different world when you light it. Using candles in your home create warmth and a homely feel, plus they’re the perfect addition to any room to make it feel that little bit more glamorous. 6. ghd Platinum+ Styler. Available for 49,380 Qantas points with 20 percent off. ghd Platinum Styler. Image: Supplied. Who said refreshing your home excluded refreshing things for yourself? 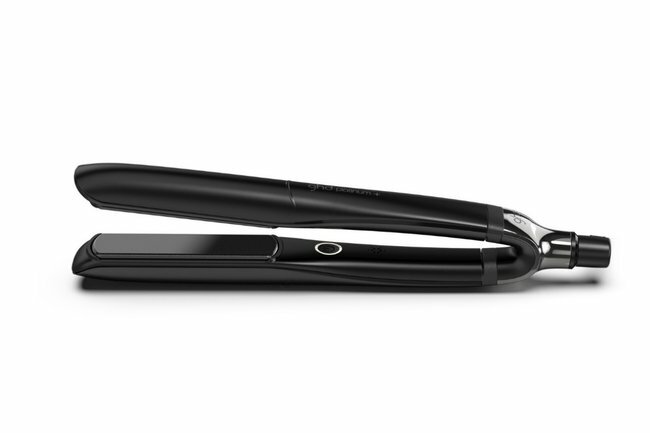 If you’re in the market for treating yourself, there’s no better deal on a ghd than this. ghd platinum+ is the world&apos;s first smart styler, meaning it predicts your hair needs and constantly adapts to ensure the optimum styling temperature at all times. It’s practically a computer for your hair. So what are you waiting for? 7. Cast Iron Copper Fire Pit from Barbeques Galore. Available for 54,290 Qantas Points with 30 percent off. Cast Iron Copper Fire Pit from Barbeques Galore. Image: Supplied. Have an outdoor space? You need to fill it with a fire pit. You can roast some marshmallows around the fire with family, or invite friends over for a barbecue and keep warm. And if you&apos;ve got a dog, fireside cuddles are mandatory. Unlike most firepits it comes with a lid so can be packed away easily. Oh, and it’s 30 percent off. 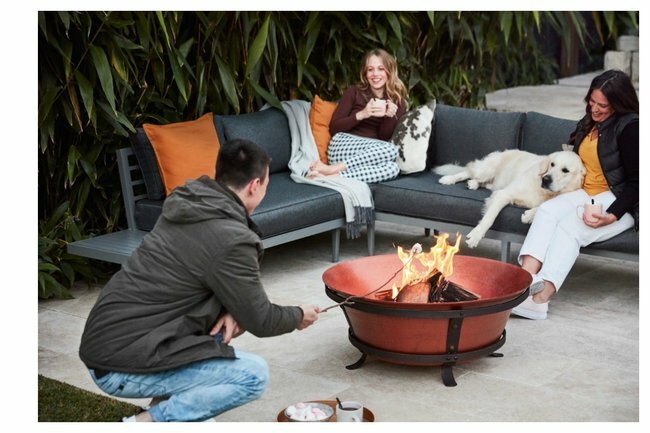 So when it comes to updating your home this winter, don’t think you have to redecorate entirely - it can be as simple as buying a new toaster, changing your duvet cover or adding in a fire pit to your backyard. And with the Qantas Shopping Rewards Store you can make that happen without spending too much - or possibly event nothing at all if you&apos;ve got the points. This content is brought to you with thanks by our brand partner Qantas. The Qantas Shopping Rewards Store is a great way for you to treat yourself or a loved one and not spend a cent. You can use your Qantas Points to shop over 8,000 products from top brands like Breville, KitchenAid, Apple, Bose and more. Don’t think you have enough Qantas Points? Just use Points Plus Pay a combination of points plus cash to shop the brands and products you love.